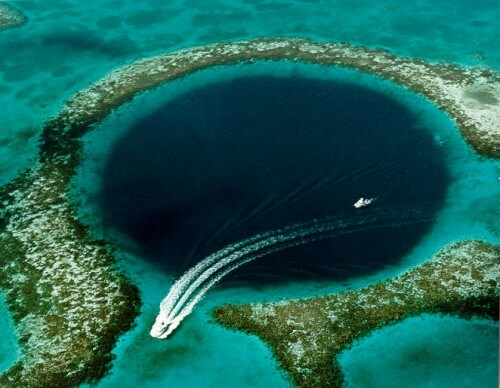 10 Most Amazing Crater Lakes in the World - What on Earth? Planet Earth is home to some of the most beautiful natural wonders which has been shaped by the universe over millions of years. A natural formation that undergoes vibrant change are crater lakes. Although many people believe that the earth’s craters were actually created by meteorites which impacted upon the earth, most of these are actually volcanic craters. 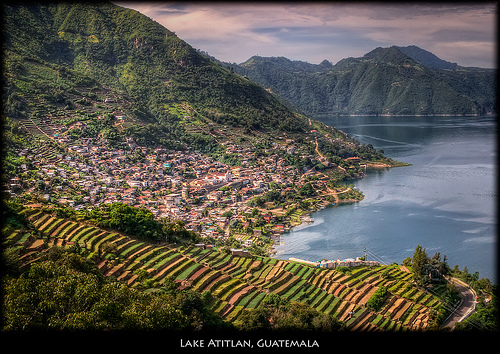 Also known as Lago de Atitlán, this large endorheic lake is found in the highlands of Guatemala. It is also the deepest lake in Central America – so deep that even researchers have not found the actual depth of this lake. However, it is estimated to be at least 340 metres deep. 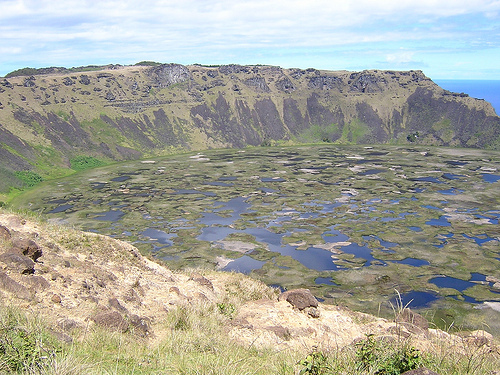 This crater is of volcanic origin – of which a tell tale sign would be that there are 3 volcanoes surrounding it. It formed 84,000 years a go and filled a huge caldera. 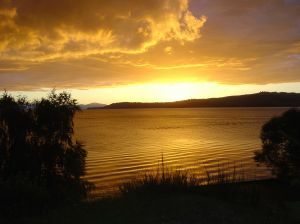 Located in the North Island of New Zealand, Lake Taupo is a lake that has a surface area of 616 sq km. As a result, it is the largest lake by surface area in New Zealand, and the 2nd largest freshwater lake by surface area in Oceania. Its perimeter is about 193 km, and its deepest point is 186m. It is drained by the longest river in New Zealand which is the Waikato River. 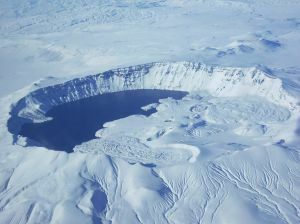 This crater lake attracts 1.5 million visitors per year with is amazing, picturesque site all year round. Although it is now relatively peaceful, it was formed by a volcanic eruption about 27,000 years ago. However, it is still bubbling with geothermal activity in its great depths which means that the volcano it sits on is just dormant. 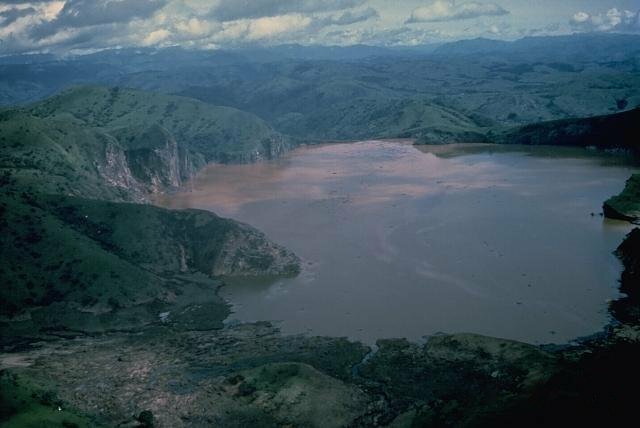 Situated in Cameroon, Lake Nyos is a deep lake that acts as a natural dam on the flank of an inactive volcano in the Oku volcanic plain. A pocket of magma does lie beneath the lake, and leaks carbon dioxide into the lake – leaving it with ever changing colours. As 1 of 3 exploding lakes in the world, this lake is a risk of potential death and poisonous clouds. Coupled with a threat of a weakening natural wall where a geological tremor could just cause this natural dike to wash down all the way to Nigeria, this lake could one day exit from our world with a disaster! 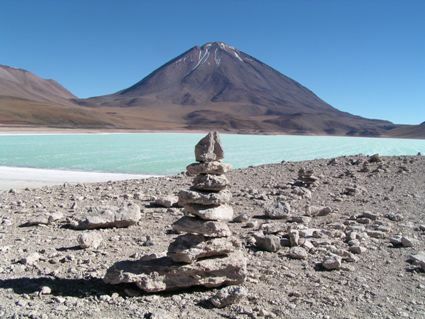 Standing at 6,390 metres high, Ojos del Salado Lake which is on the Argentina-Chile border’s claim to fame is that it is the world’s highest lake. 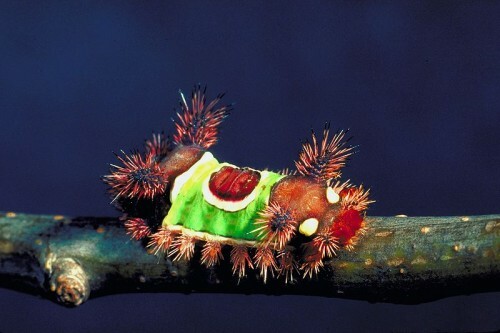 This giant is 100 metres in diameter and sits on one the world’s tallest active volcano. However, this may be a giant – but it has a perceptible depth of only 5 to 10 metres deep. This lake is on top of a dormant volcano from which its name is derived from in Bitlis Province, Turkey. Lake Nemrut is rather unique as it is a large circular crater that contains 2 lakes close to each other, despite the fact that it has an area of 12.36 sq km. These two lakes provide a contrast, as one is cold and one is hot! As a result, it is a sheer delight for both tourists and geologists. Turning on its charm, Lake Vico is an exquisite beauty which is popular for couples due to its romantic setting as it is surrounded by hills. 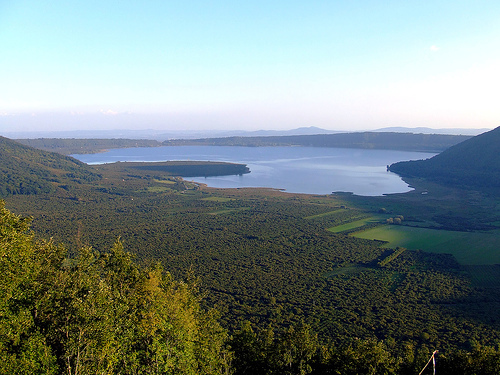 Lake Vico is in Lazio, where it is the highest lake (510m) out of all of the major Italian lakes. However, not only does the beauty of the lake capture people’s attentions, but the legends around it. It is said that Hercules defied the locals to pick up his club, and when they failed to do so he picked it up himself. It was from underneath this club that Lake Vico sprung to life. 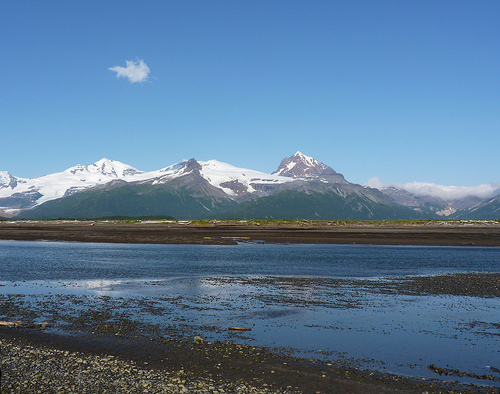 This Alaskan mountain is just as spectacular as the lake that sits majestically on its caldera. It is one of the most impressive natural sights today which happened in more modern history. In June 1912, the peak of Mount Katmai imploded to create a large crater which is now 800 feet deep. There were 3 glaciers that were once sitting on its peak which collapsed into the crater, filling the vast area on the top of Mt Katmai. Although this crater lake is not as famous, it does not mean that you should give it a miss. Its home is Easter Island, and it is on the edge of the crater wall of Rano Kau that you can find the ceremonial land of the mysterious ancient tribes of Easter Island. 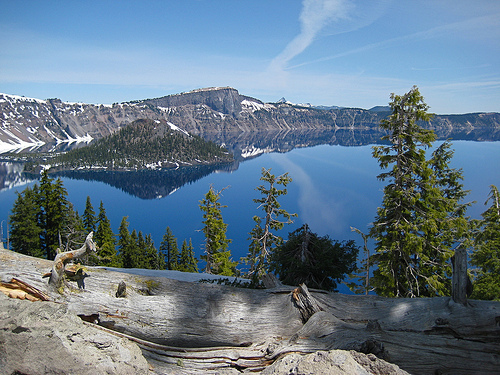 These ‘walls’ of crater lake are therefore famous for both geological and archaeological reasons. The crater is not filled up with a large amount of water as the rough sea winds sap away most of its moisture. However, its depth ensures that Rano Kau supports its own unique mini-ecosystem. Located in Oregon, USA, Crater Lake has an average depth of 350m, with its deepest point being 594 metres. It is the 9th deepest lake on earth, and the 2nd deepest in North America. It formed when Mount Mazama collapsed, forming a mineral-rich deep blue lake with extraordinary clarity. It has the purest water in the USA and is a sacred place for the Klamath tribe who believe that the sky god and god of the underworld fought, leading to the collapse of Mt Mazma. One of the attractions of the lake is an old stump called ‘Old Man of the Lake’. 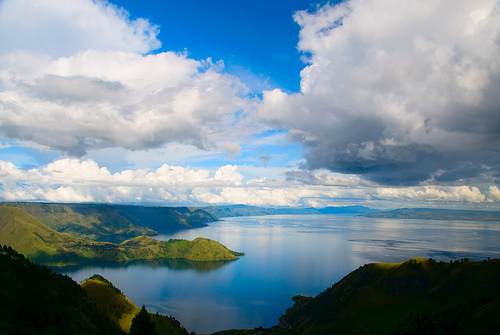 Lake Toba is in the heart of Sumatra, Indonesia. It stretches across 1,130 sq km and is the largest crater lake in the world. In fact, this crater lake even features an island in the middle of it. 75,000 years ago, the Toba Eruption occurred. It was so catastrophic that it blacked out the sun for 1 whole year, worldwide. Today, Lake Toba is a constant place of volcanic activity and major earthquakes. Can you guys do some research about the “Laguna de Bay” at Luzon of The Philippines?